The nursing industry in America is among the world’s fastest growing healthcare industries. The Bureau of Labor and Statistics has forecasted the growth in this field to be 26 percent between 2010 and 2020. In order to train students in the skills needed, universities across the country are offering nursing programs at graduate and undergraduate level. The number of schools offering such programs can be quite high. As a result, finding the right school for yourself can become difficult. If you are interested in entering the field of nursing, a good place to start would be to look up the nursing schools by state. How can I access a list of state nursing programs? The fastest way to find out the best nursing schools by state is to visit the designated website for your State’s Board of Nursing. These websites contain an extensive list of all schools which are accredited by the state to teach their curriculum. Students can look through the list and determine the kind of program – undergraduate or graduate; associate’s degree or Doctoral program – based on their preferences, prior education and career objectives. Going through the state’s Board of Nursing website is recommended because it helps weed out legitimate programs from scams. These unauthorized programs lure you in with their offers, but teach a substandard curriculum and do not train you properly for the challenges ahead. Additionally, you are not going to be allowed to take your licensing exams, because an accredited degree is a prerequisite. Is there a lot of variation in nursing schools by state? Because the field of healthcare is so precise, the teaching that students undergo has to be more or less standardized so that everyone is able to get the same skill set. As a result, nursing schools by state don’t generally vary in the coursework they cover. However, the degrees may vary in their duration from university to university. Alternatively, they may also depend on your own commitment as a full or part-time student. 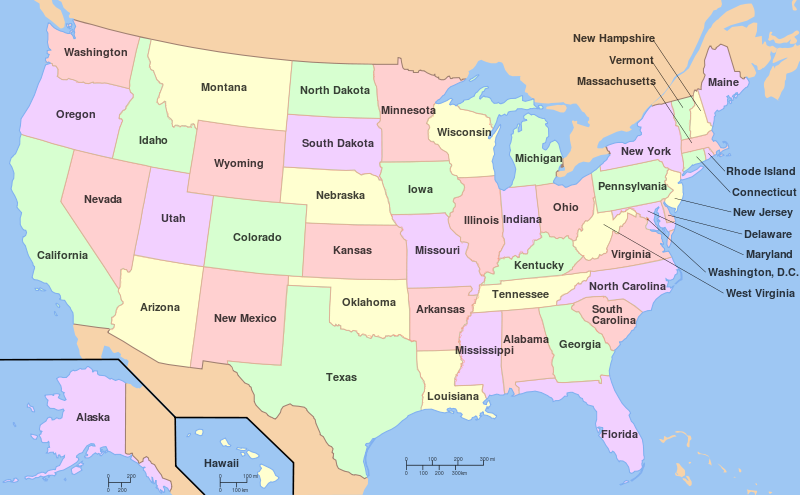 States in the US offer a variety of nursing programs. Those looking to simply enter the field can opt for a Bachelors of Science in Nursing (BSN) or an Associate’s Degree in Nursing (ADN), while those looking for advanced learning opportunities can go on to complete a Master’s or a Doctoral degree in the field. In order to increase accessibility to education, some universities are also offering online nursing programs which students can take up and earn their degrees. However, not all states in the US currently offer online programs, so you should ensure whether the state has such opportunities before signing up for a degree. Q:Do you guys have information about nursing schools by state? A:Yes, feel free to take a look at our page. We offer information about nursing schools, programs, careers. Nursing is one of the fastest growing occupations in the healthcare industry. Many individuals are preparing for careers in this area as the employment outlook is bright. Nursing is a broad field that entails a number of specialties. Q:What is the coursework like of the best nursing schools? A:The coursework will vary from school to school. Also, the curriculum of a program will basically depend upon the program level. For example, LPN degrees cover more fundamental subjects related to the field. On the other hand, a BSN degree will emphasize more advanced areas of nursing. Take a look at our page for more detail. Q:Which specialization areas can I pick in nursing school programs? A:There are many different fields of nursing that you can opt for in this field. Some of the most common specialization areas offered are: gerontology nursing, oncology nursing, pediatric nursing, emergency nursing, travel nursing, and geriatric nursing. The options may vary from school to school. Browse through our page for more detail. Q:Can I get financial aid at schools with nursing programs? A:Yes, most accredited nursing schools offer financial assistance to students. However, you will have to check with the prospective schools to find out. Usually, students are required to fill out a FAFSA form online to apply for federal aid programs. The different types of financial aid programs include loans, scholarships, grants, and work-study programs. Q:Will online nursing school programs suite for me if working full-time? A:Pursuing nursing school programs online is more flexible and will fit your working schedule. You do not have to go anywhere to take classes and can easily study in your free time. All you need is a computer and an internet connection. The classes are covered online through videos, online lectures, slideshows, and classroom conferencing.